When people think of the city of Turin and the beautiful game, it is Juventus that immediately springs to mind. One of Europe’s most famous clubs and one of Italy’s most successful, their black-and-white striped kit is recognisable anywhere. Fewer people will think of Torino. They have spent the last decade fighting problems, both on- and off-the-pitch. Declining performances saw them drop out of the top division and languish in the depths of Serie B. After defying the odds and winning promotion back to the top flight in 2005, they were denied their place in Serie A after the club was declared bankrupt after huge tax debts were exposed by false banking guarantees. After rising from the ashes under a new name, they were allowed to continue in Serie B due to their rich cultural and footballing history, and exactly a year later, won promotion back to the top flight in front of 60,000 fans. However, things could have been so much different. 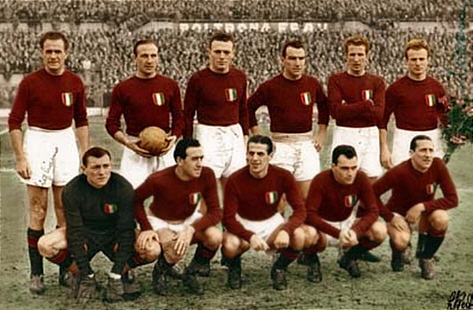 If we go back to early May, 1949, Torino was the most dominant team in the country. Having won the last title before the outbreak of World War II, they retained their title by a single point in the shortened 1945/46 season. It was the following season when they really began to cement their status as the undisputed best team of their generation. They cruised to the title by 10 points, scoring 104 goals and conceding just 35 in the 38 games they played that season. Even more impressive was the following 1947/48 season. They scored a massive 125 goals in 40 games, conceded just 33, and won 19 of their 20 home games. They were simply unstoppable. The 1948/49 season was no different. They were four points clear with only four games remaining and in the middle of an 18-match unbeaten streak. They had not lost at their Filadelfia stadium in 93 matches – a streak that stretched back six years to 1943. On the 1st May, 1949, the record-breaking side had flown to Lisbon for a friendly match. 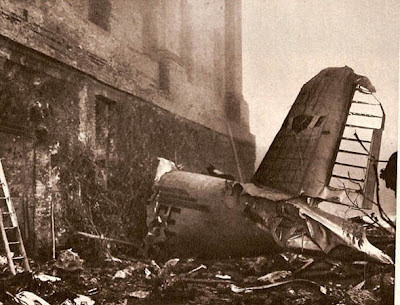 Three days later, 31 passengers and crew boarded the FIAT G-212 plane to return to Turin. It was a foul day. Heavy rain lashed the city and low, dark storm clouds lurked threateningly in the sky. Visibility was close to zero. On the hill above Turin is a small town called Superga with an 18th century basilica. Shortly after 5pm, a man rushed into a restaurant in the square in Superga, urgently requesting the use of a phone to request help. The plane had crashed into a wall at the back of the basilica. Remains of bodies, luggage and wreckage were spread across a wide area, and the woods around the church were on fire. There were no survivors. Vittorio Pozzo, a local journalist and former manager of the Italian national side, was the unfortunate individual tasked with identifying the bodies. He knew the players well, having picked ten of them as members of his last Italian squad in 1947. The tragedy shocked the entire country. Late special editions of the newspapers were released in Turin, and when news of the disaster spread, work stopped at the city’s FIAT factory for a minute’s silence, and shops all over the city closed their doors. Further afield, headlines in the newspapers in Milan put aside all rivalry, simply stating ‘Italy cries for its champions: Champions Forever.’ In Rome, the Italian Parliament suspended its sitting when the news came through. Two days later, over half a million people attended the funerals of the players, journalists and staff that had been killed in the tragedy. The funeral procession was broadcast on national radio. 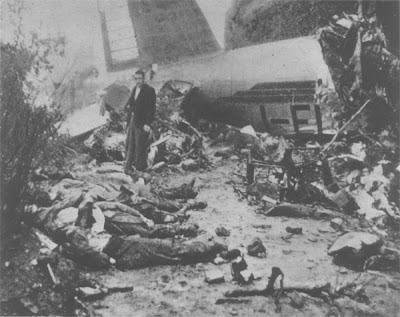 On that day alone, over thirty thousand people made the walk up to Superga to pay their respects and to leave flowers at the crash site. The history of Torino football club can only be viewed as before-Superga and after-Superga. The club was awarded the Scudetto that year to make it five consecutive titles. However, since that fateful day, the club has only won the Scudetto once. They have never again had a side that approached the quality of that team, referred to as Il Grande Torino. In those five season, the club scored 483 goals and conceded only 165 – a record that has not come close to being matched since. Their captain during that period was Valentino Mazzola. Mazzola was an attacking midfielder, who is often referred to as the greatest Italian footballer of all-time. Given the quality of players that Italy has produced over the years, this is quite some accolade. In five years with Torino, he won five championships, scoring 102 goals and became a truly inspirational captain. He perished at Superga at the age of 30. The Torino manager at the time also had a huge impact on Italian football. Egri Erbstein was a Hungarian Jew, who had managed Torino before World War II. He was forced out by Mussolini, then taken to a Nazi labour camp when they invaded Budapest. Following the liberation of Hungary, he re-joined Torino as their coach and was responsible for assembling the unbeatable Grande Torino side. He brought modern training methods to Italy, developing training drills, which his players hated, but that brought outstanding results. He also revolutionised tactical positional play, encouraging his team to utilise all the available space on the pitch, rather than clustering in small areas. Tragically, he was among the 31 to perish at Superga, but his ideas and method lived on and formed the basis for many of the training methods that would develop in the decades following his death. However, it was not only Torino that suffered as a result of the tragedy. The club’s players formed the core of the Italian national side at the time, and the Italian national team would not perform well at a World Cup again for over twenty years after the crash. Having won the World Cups in both 1934 and 1938 before the war, the national team would not progress past the first round again until 1970. 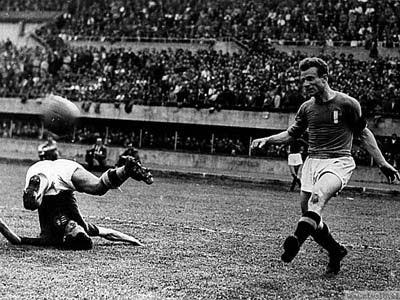 Memories and fears from Superga led to the national team travelling to the 1950 World Cup in Brazil by boat. The journey took two weeks and the players arrived unfit and having suffered two weeks of sea-sickness. They were comprehensively beaten, and thus eliminated, in their first match against Sweden. Naturally, it is impossible to know how the course of history might have been altered had the Superga tragedy not have occurred. Whether Torino could have pushed on and dominated Italy for many more years, potentially at the long-term expense of Juventus, we will never know. Maybe it would be the scarlet shirts of Torino that would be indelibly linked with Turin and the success of Italian football, rather than the black and white stripes of Juventus. Tax Defense Network understands that it is difficult for many taxpayers who are in tax debt to repay the full amount of debt in one payment.